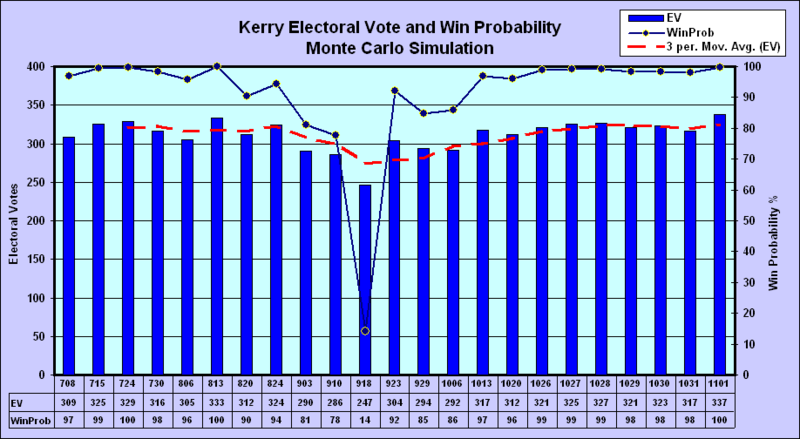 The 2012 Presidential True Vote and Monte Carlo Simulation Forecast Model uses two forecast methods. 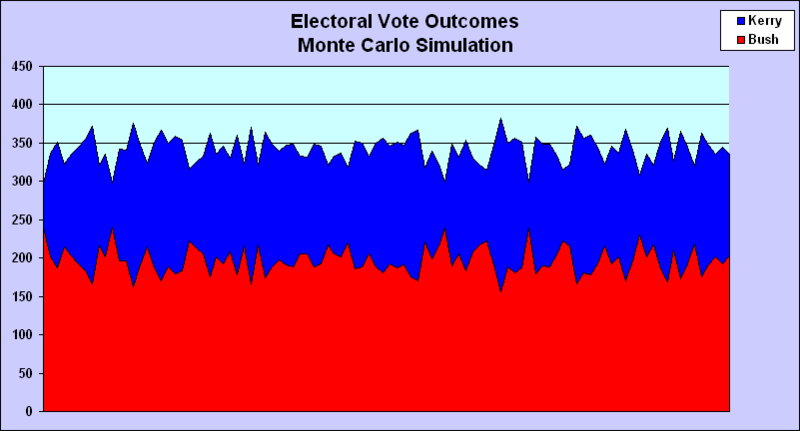 The Monte Carlo Electoral Vote Simulation is based on the latest state polls. 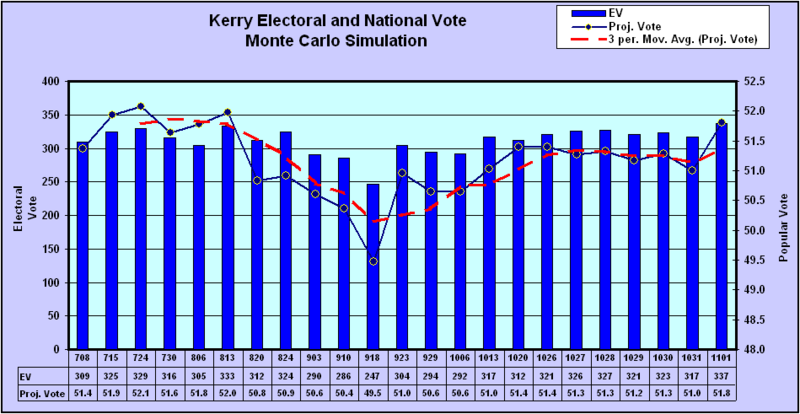 The True Vote Model calculates vote shares based on a feasible estimate of new and returning 2008 voters and corresponding vote shares. The model is updated periodically for the latest state and national polls. 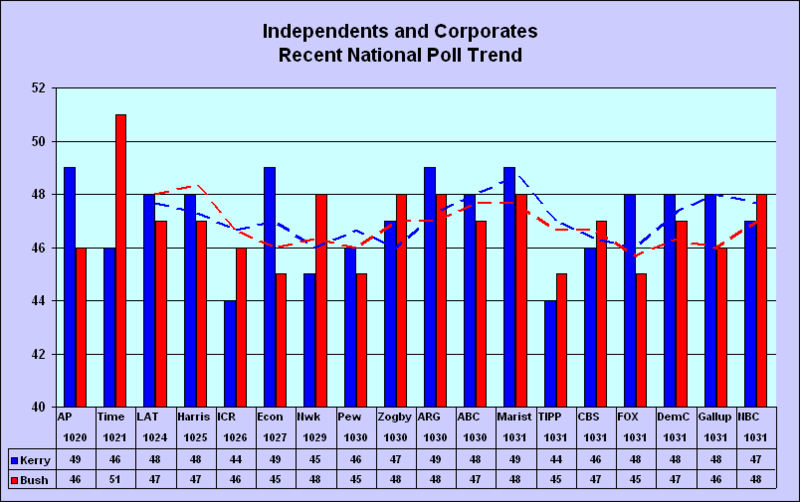 The projections assume the election is held on the latest poll date. Obama increased his expected electoral vote from 320 to 342 by gaining the lead in the North Carolina and Iowa polls. 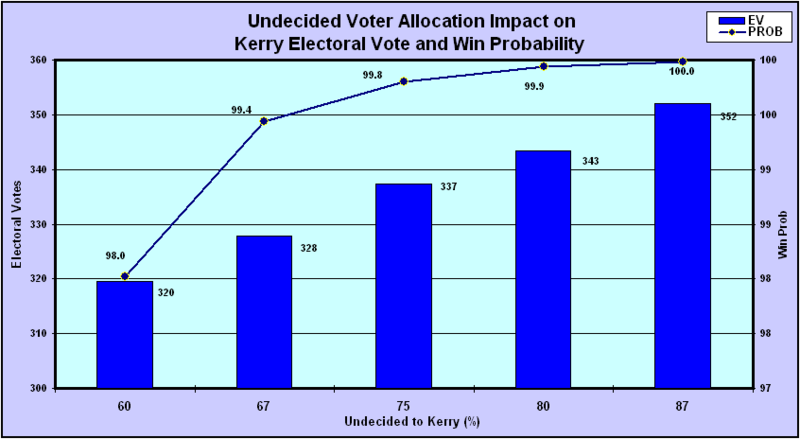 The expected electoral vote is based on the state win probabilities. 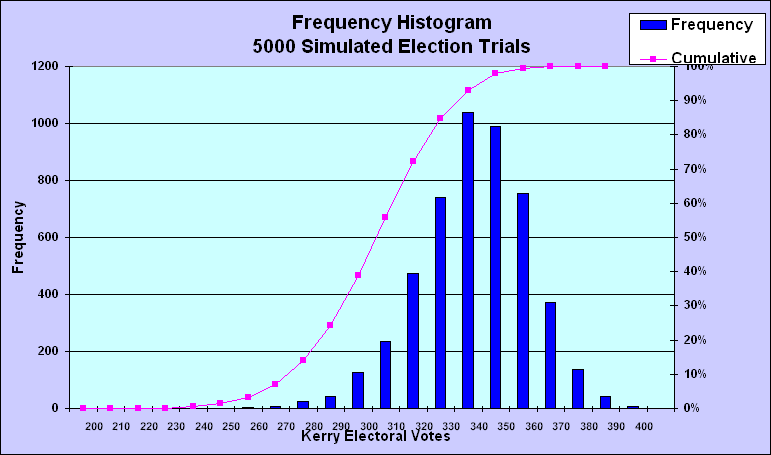 If the election were held today, the Monte Carlo electoral vote simulation indicates that Obama would have a 100% probability of winning as he won all 500 election simulation trials. But there are six weeks to so. Obama’s 49.2-44.3% margin in the weighted state pre-election polls is very close to his 48.9-44.9% lead in the RCP national average – a joint confirmation. His lead increased to 50-44% in the Gallup RV tracking poll (2% MoE, 3050 sample). The Likely Voter (LV) polls anticipate the inevitable election fraud reduction in Obama’s estimated 56.3% True Vote share and 402 electoral votes.